Spectrum Healthcare Resources (SHR), a member of the Distinctive Spectrum Healthcare Joint Venture announces it has been awarded a position on the Defense Health Agency (DHA) Medical Support Services contract. The five-year, $969 million contract will provide medical support staff to Army, Navy, Air Force and other Military Treatment Facilities across the U.S., Guam and Puerto Rico. Through this partnership, Spectrum Healthcare Resources (SHR) will provide a wide range of healthcare support personnel to Military Treatment Facilities to include medical referral, appointment and billing clerks, medical coding and transcription specialists and a variety of medical administrative personnel. SHR is one of only 27 awardees for this contract. “Our team is pleased to have been selected to enhance the capability of the Military Healthcare System (MHS) and to provide high quality healthcare support services to the U.S. Military members and their families,” Sheila Bodenschatz, SHR’s VP of National Markets said. “Our 30 year history of supporting the MHS will enable us to deliver medical services throughout the Department of Defense in all 50 United States, the District of Columbia and the U.S. Territories of Guam and Puerto Rico. Founded in 1988, Spectrum Healthcare Resources has been providing permanent, civilian-contracted medical professionals exclusively to U.S. Military Treatment Facilities, Veteran Affairs clinics, and other agencies of the Federal Government. Proven through our solid reputation in the healthcare management staffing industry and Joint Commission certification, Spectrum continues to successfully attract and retain the most qualified healthcare professionals to help our client facilities serve their patients. The Joint Venture was established under the Small Business Administration Mentor-Protégé program where SHR is mentor to Distinctive Healthcare Services. 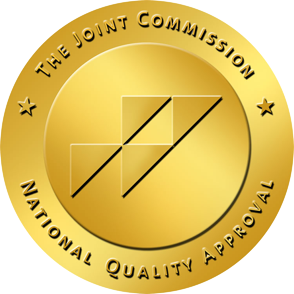 The Joint Commission accreditation is recognized nationwide as a symbol of quality that reflects SHR’s commitment to meeting certain performance standards. As we look to the future, we focus on what matters most – caring for America’s military families, veterans, and Federal employees.